Sometimes it doesn't matter how much planning you do before your trip, things would still go wrong... but miraculously, some kind strangers/ locals would appear out of nowhere to help you out. I am sure many people have had these experiences when they travel, and I think it is probably the most 'rewarding' part of traveling. 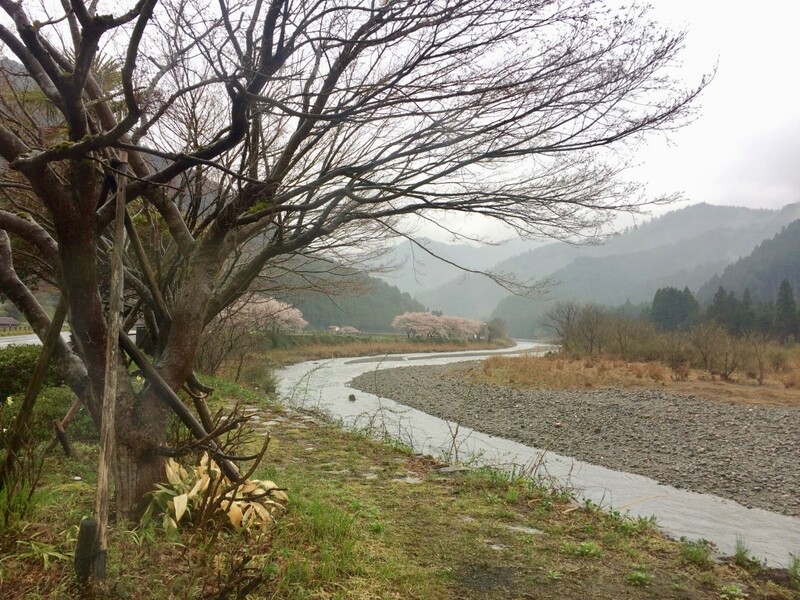 This happened to me when I traveled from Kyoto to Miyama, a small remote village in the mountains 50 kilometers north of central Kyoto. 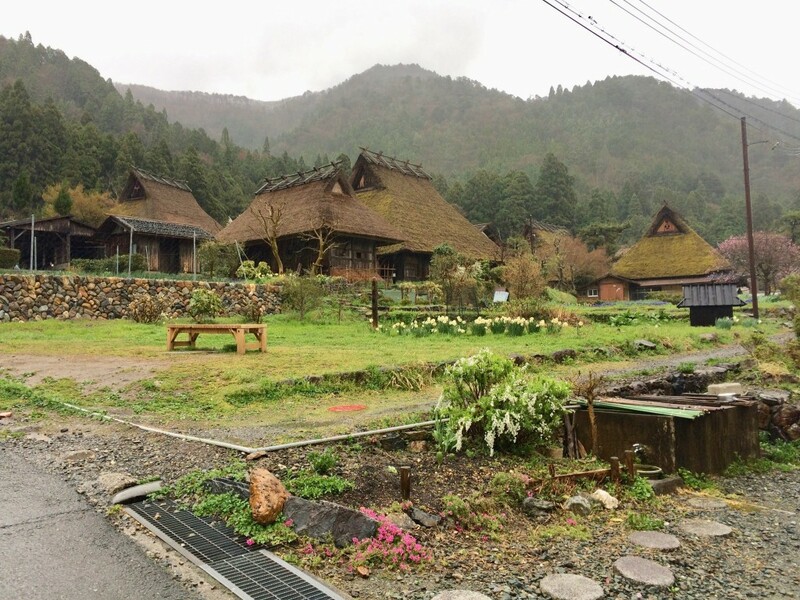 Miyama is famous for its traditional, thatched roof (kayabuki) farmhouses scattered around the valley. 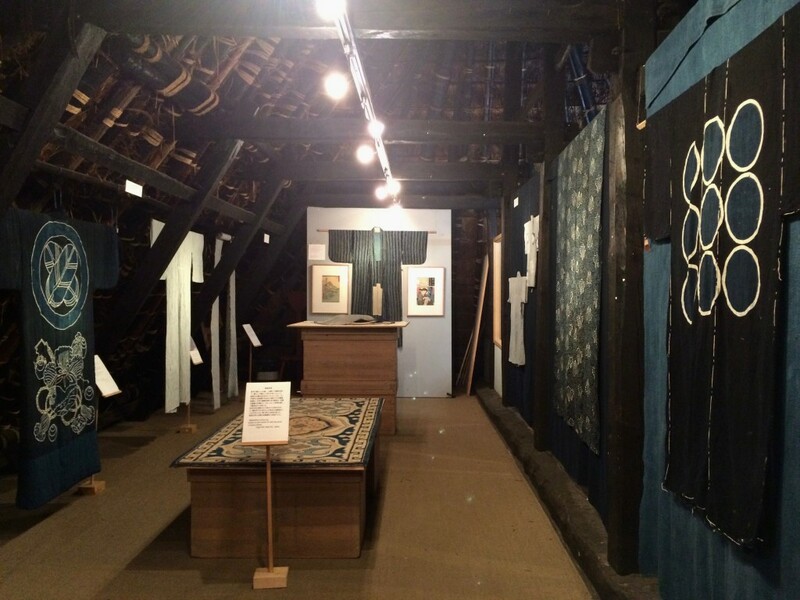 I have read about The little indigo museum before my trip, and I really wanted to visit this museum. 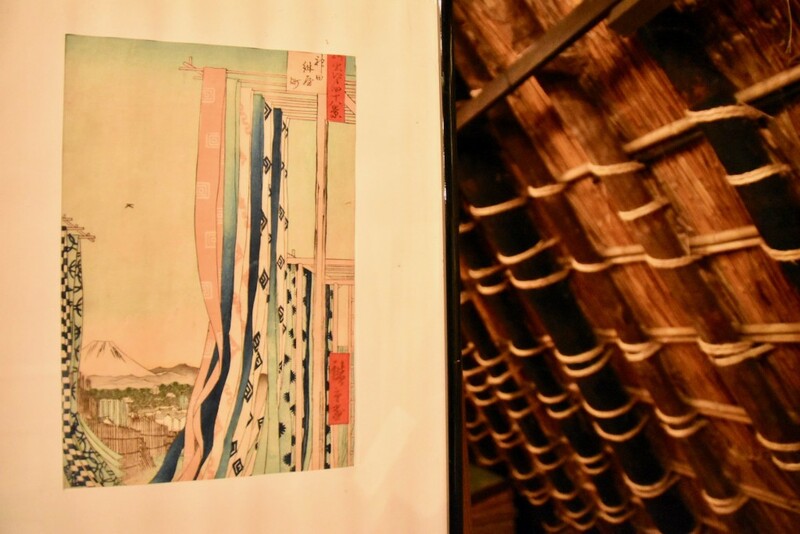 However, the journey from Kyoto to Miyama would require a train ride followed by a very infrequent bus service, which would take around 2 hours. 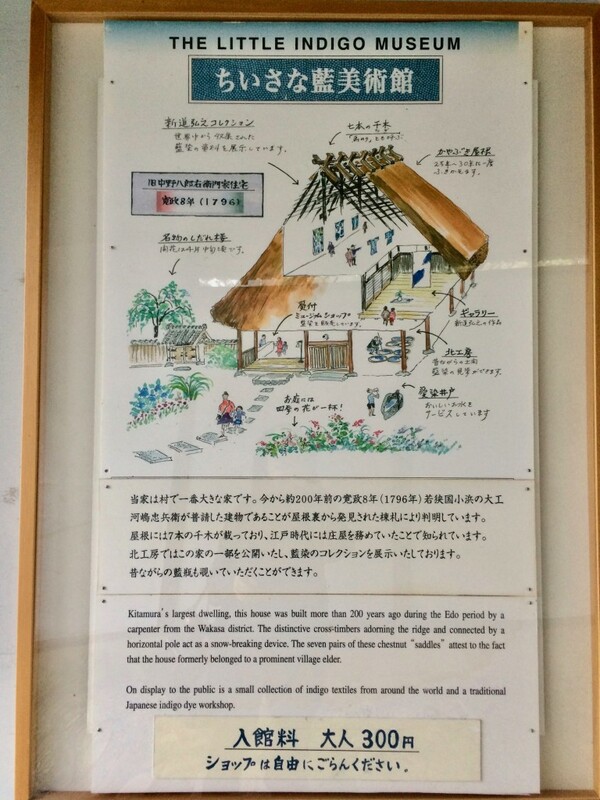 Hence, I decided to spend a night there and I contacted the local tourism office 3 months ahead to book a room at the village's only minshuku. 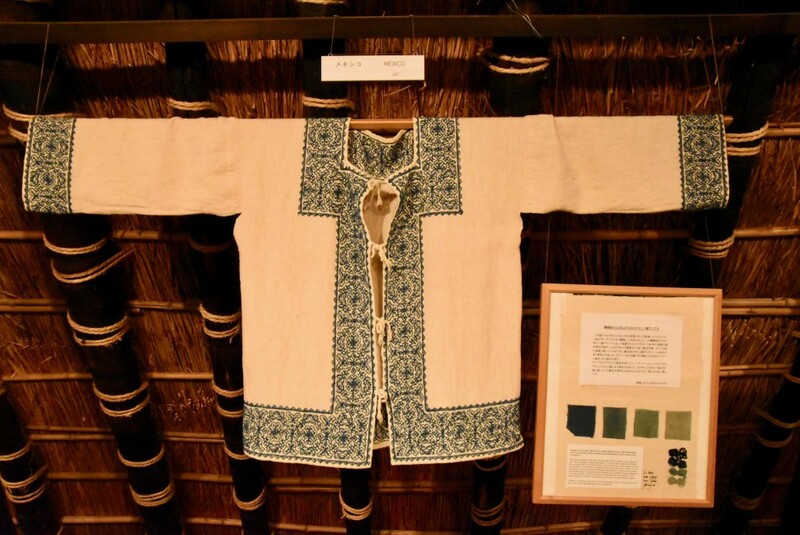 Yet a few weeks before the journey, I found out that the museum closes every Friday – the day I was planning to visit. I wrote an email to the museum asking if they could open earlier on Saturday before my bus journey back to kyoto, but I didn't hear back and I got slightly worried. 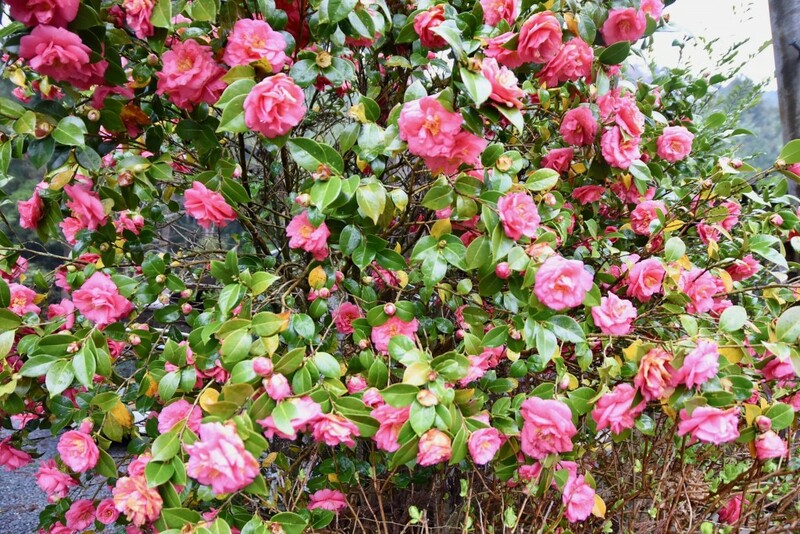 Meanwhile, the weather in Kyoto also changed drastically – from sunny 27 degrees to heavy rain and 17 degrees overnight. 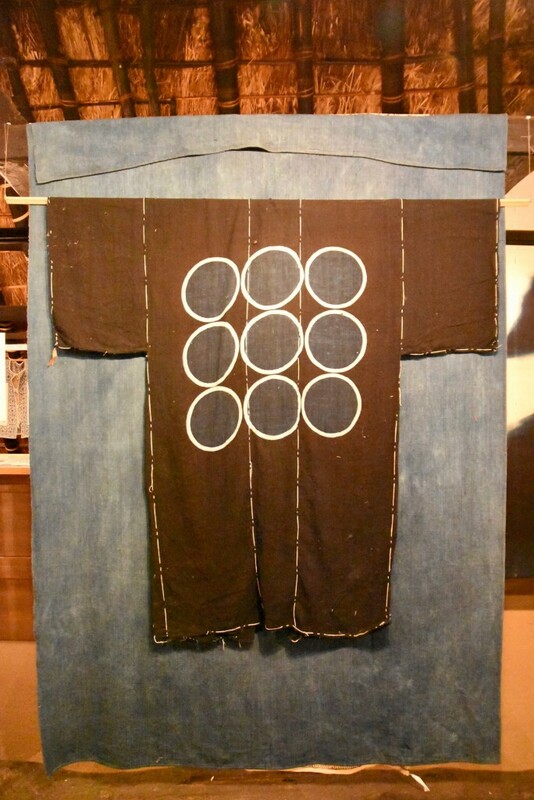 Finally, the night before my departure, I received an email from Mr Hiroyuki Shindo, the owner of the museum apologising for the late reply and said he would welcome me at the museum on Friday afternoon. It was a relief for me (for a while) until I arrived at the station for the bus transfer, where I found out from a Japanese couple by the bus stop that the bus was not coming. Confused, wet and frustrated, I ended up sharing a taxi with four strangers (including an elderly Japanese lady and a Taiwanese tourist) heading towards the next town for the bus, which was about 30 mins drive away. The whole experience was quite surreal, but I was glad to have met these kind strangers and we had an interesting conversation during our taxi ride. 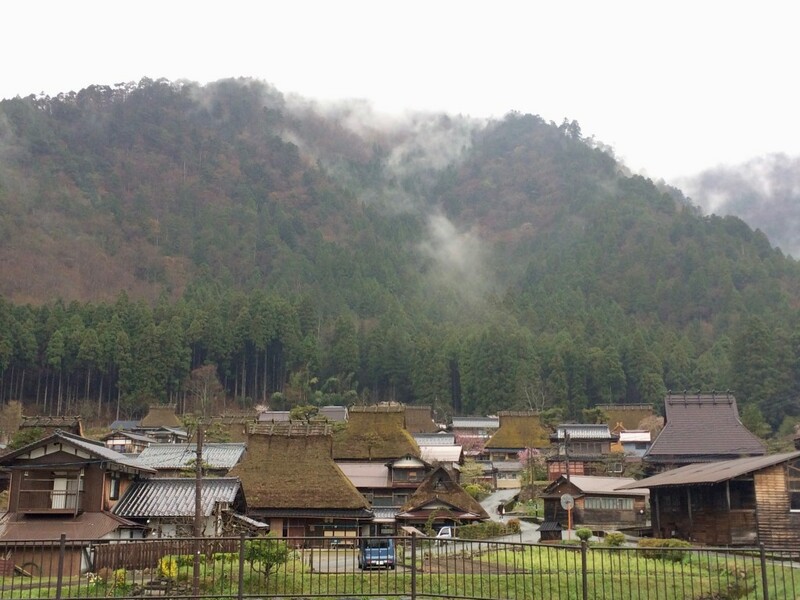 Two bus rides later, I finally reached Miyama, and I quickly rushed over to the minshuku, but no one was in. I decided not to wait around and and headed straight towards the museum. I couldn't believe the journey it took me to get to the museum (1 train, 1 taxi and 2 buses), and the downpour didn't help either. Hence, it was a consolation when I was greeted by the friendly and hospitable Mr Shindo and his wife when I entered the house. 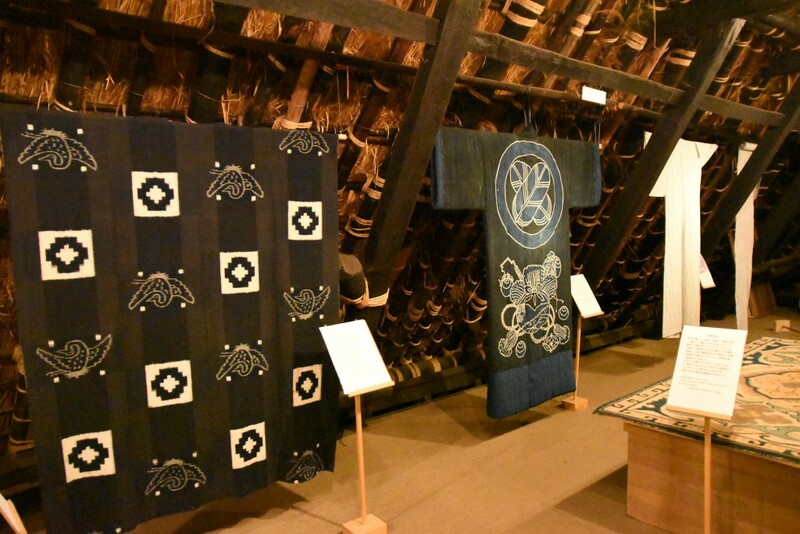 Housed inside a 200 year-old thatched roof farmhouse, the museum was established by Mr Shindo in 2005. 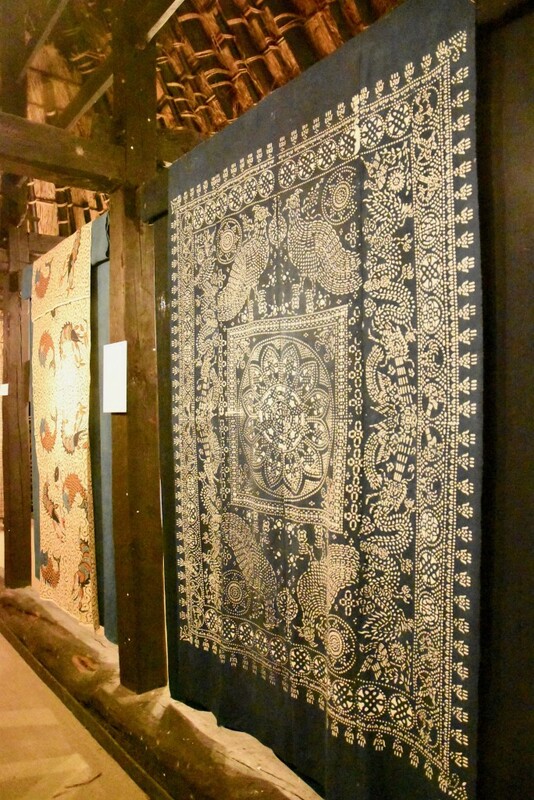 The museum on the top floor displays some of his larger installation work and his collection of indigo textiles from around the world. 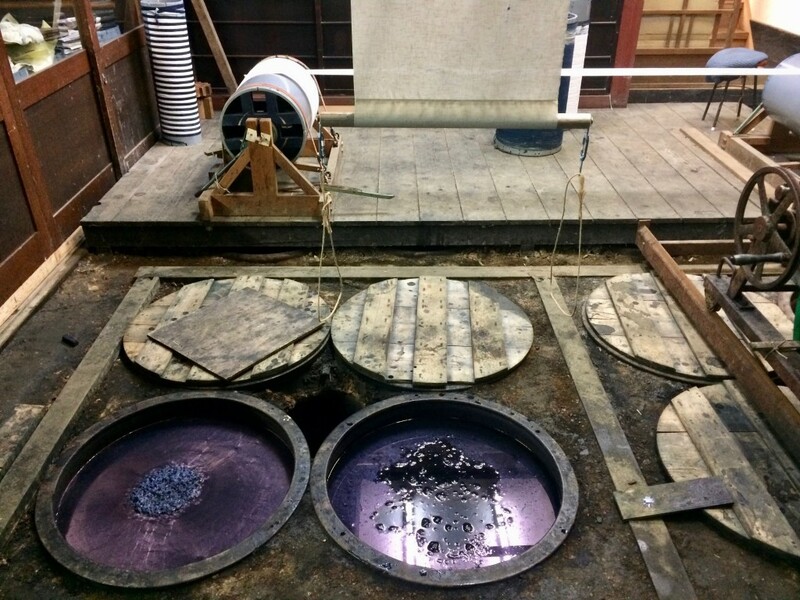 On the ground floor is his indigo dyeing studio, where both he and his son work. 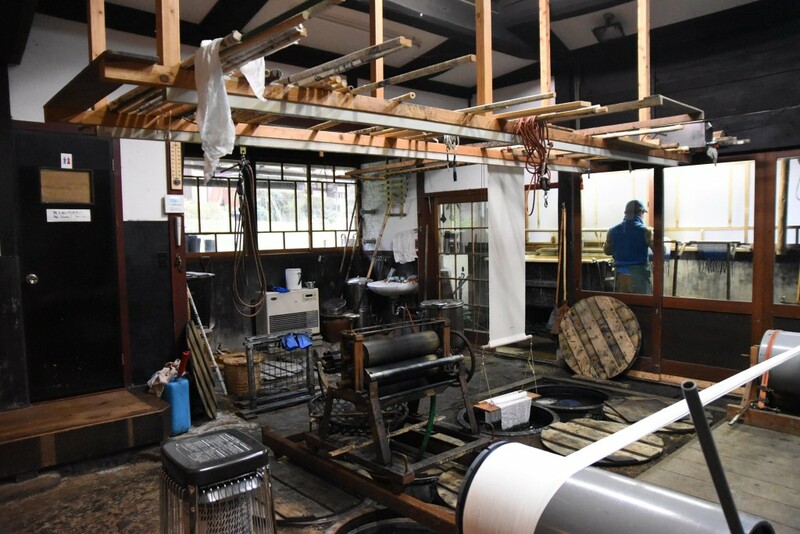 He said that his son and family have moved back to Miyama from the city and is now working in the studio while he takes a step back from work. 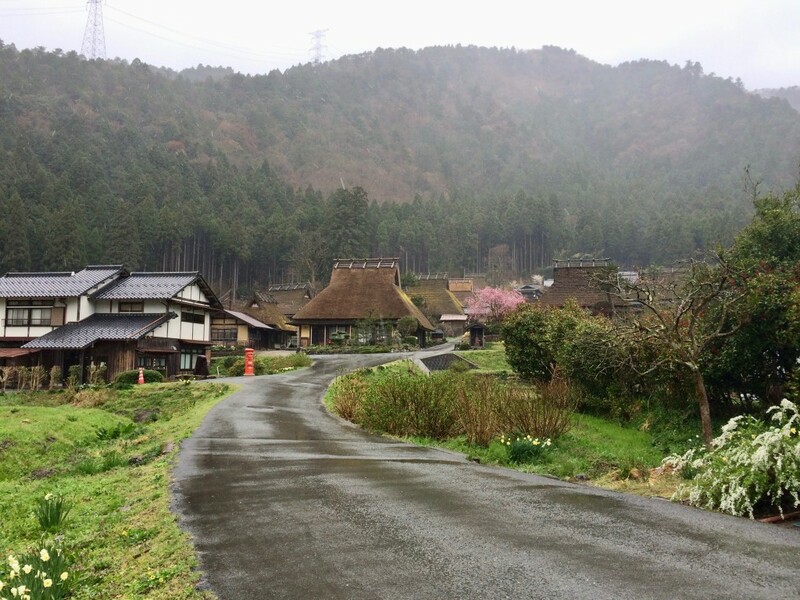 Although Mr Shindo was not born in this village, he has lived and worked here for over 30 years. 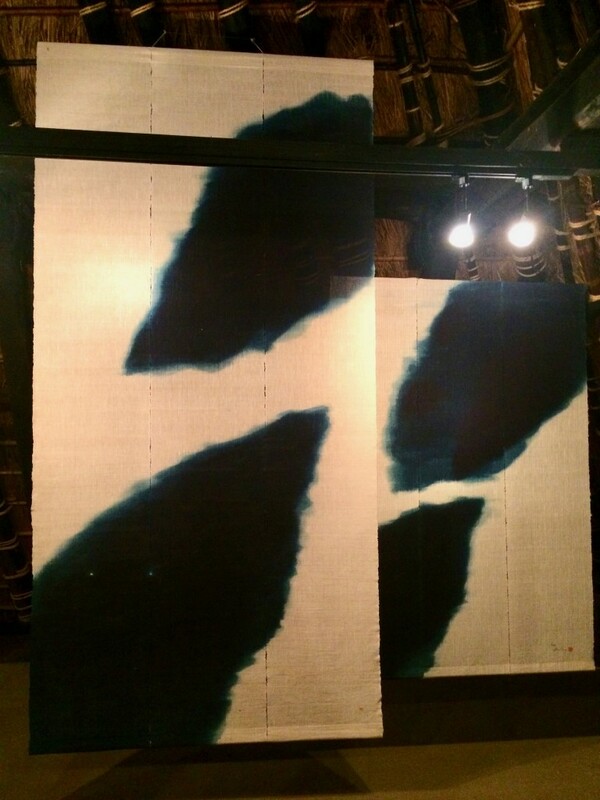 As a world-renowned indigo/textiles artist, his abstract and bold contemporary textile works have exhibited around the world in leading museums. 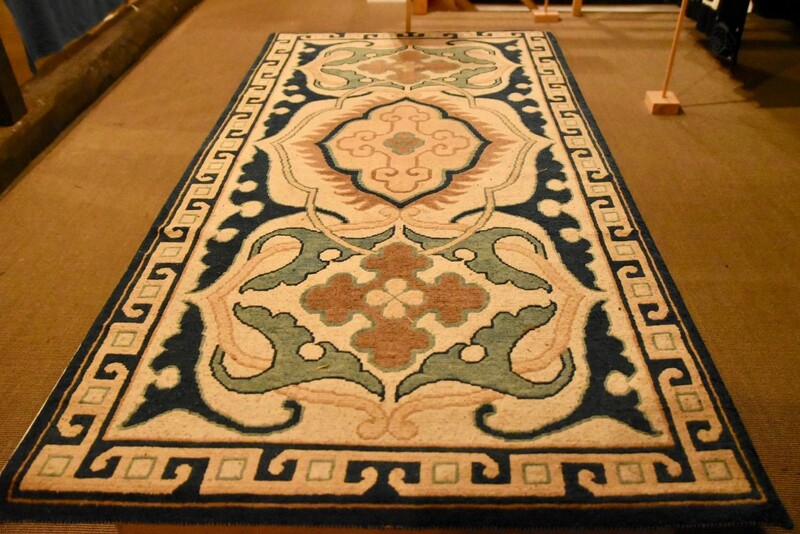 I was notably awed by the precision of the dye in his works. When I asked him if teaches/conducts workshops, he shook his head and said that it would be impossible to learn this craft within a few hours or even a few days. I understood what he meant and agreed with him. 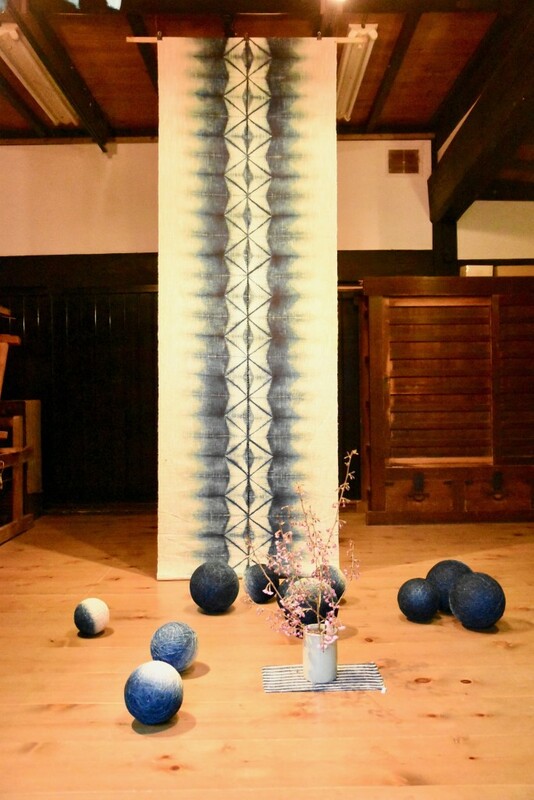 I was impressed and intrigued by Mr Shindo's beautiful collection from different parts of the world, which includes several traditional woodblock prints featuring shibori textiles. 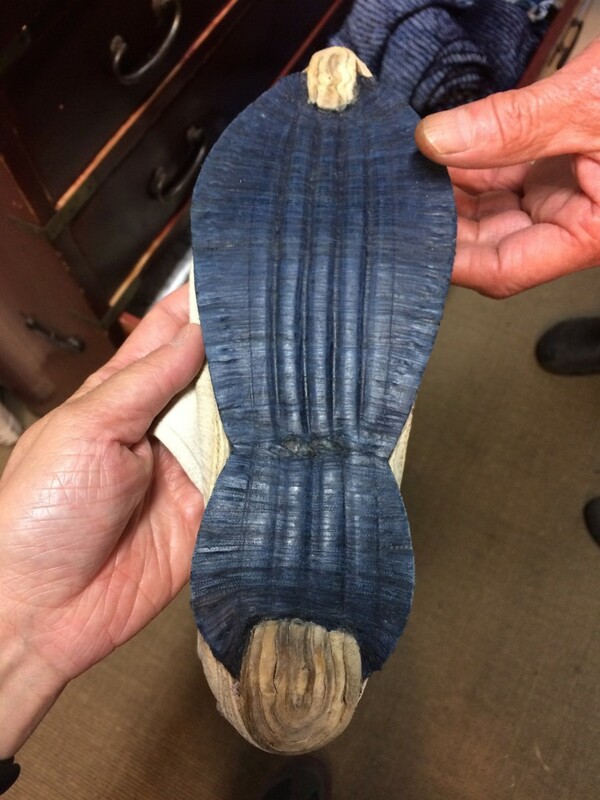 One particular item caught my eye and it was an indigo-dyed rucksack with straw backing. 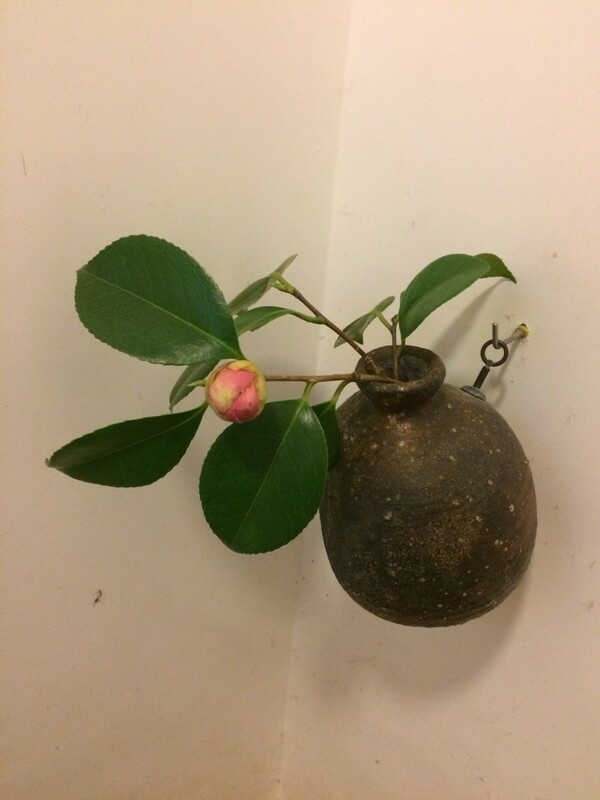 Mr Shindo explained to me that it is a vintage bridal rucksack that used to carry the bride's essentials on the wedding day. 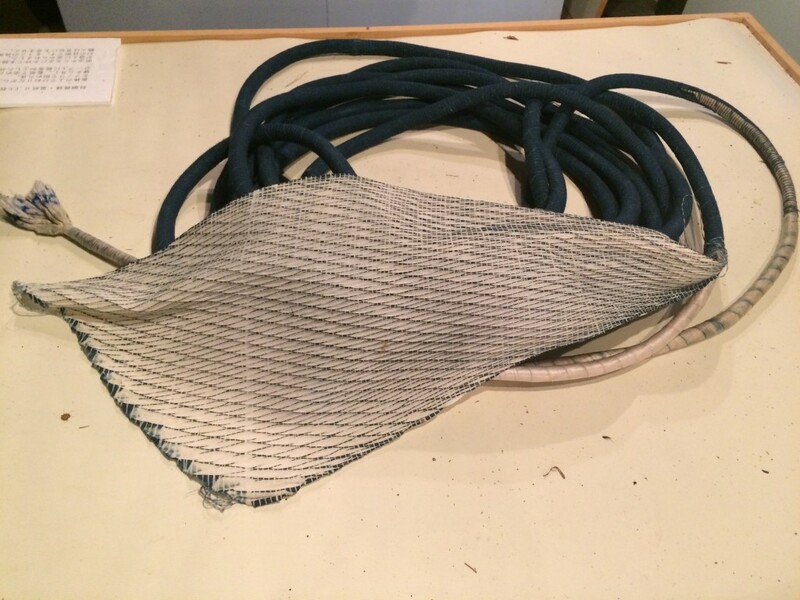 I think the rucksack could still be used today (perhaps not at a wedding) and it would not even look outdated. 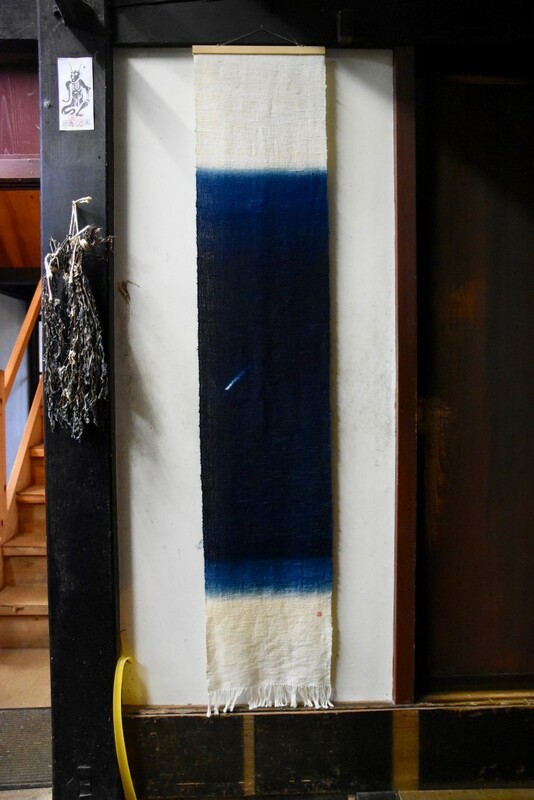 After the museum tour, Mr Shindo invited me for some tea downstairs and we spent the next hour of so chatting about indigo, his work and my trip etc. 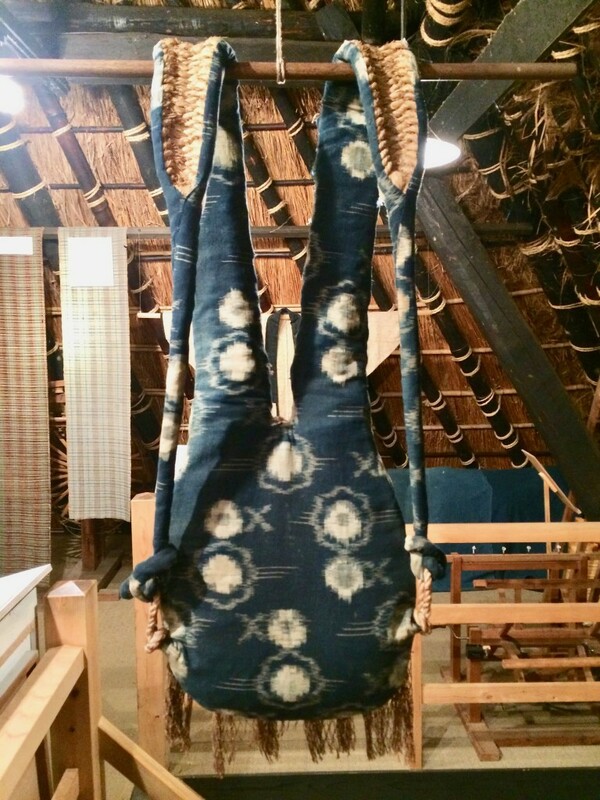 I told him that I became interested in shibori after seeing a Japanese textiles exhibition at MOMA in NYC years ago, and to my surprise, he said that he also took part at that exhibition. 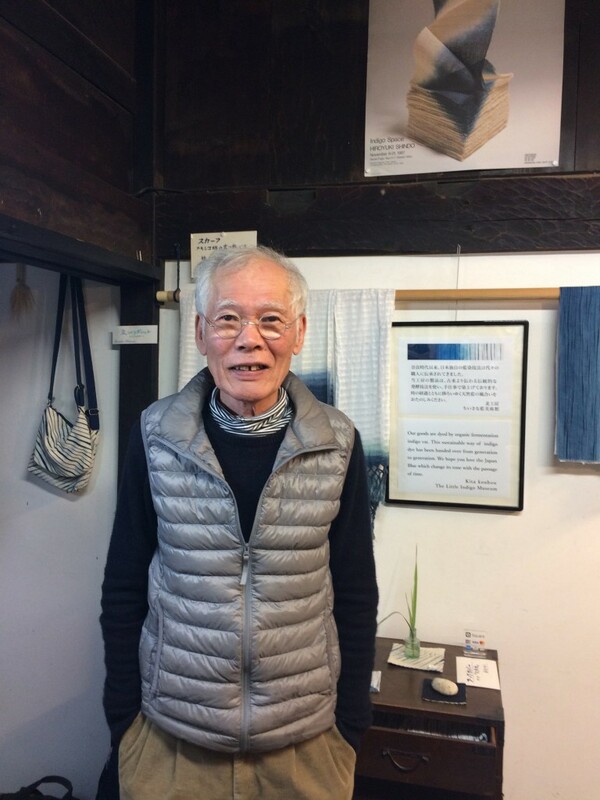 I also learned that he is good friends with textiles artist, Hiroshi Saito, whom I ran into a few days ago at the temple, and Mr Shindo was amazed by my chance encounter with him. 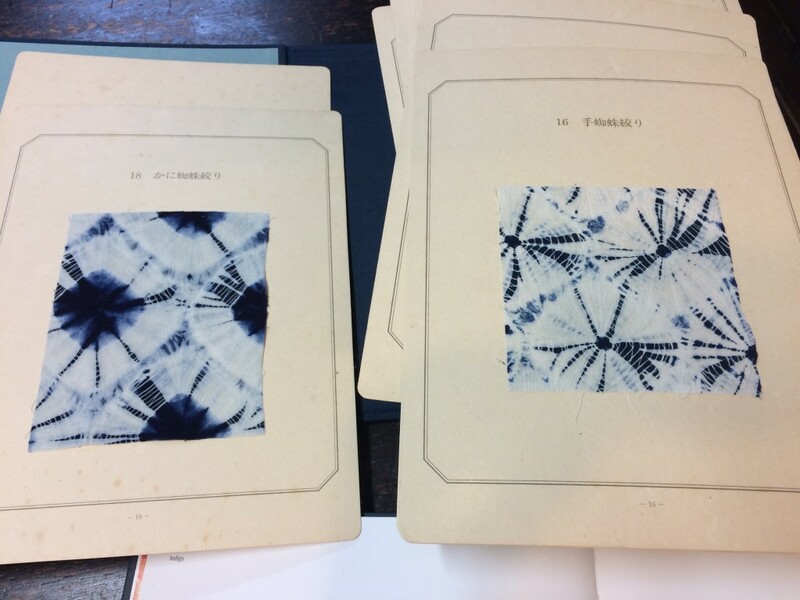 Acknowledging my interest in shibori, Mr Shindo took out an A4 size box full of shibori techniques which he produced when he was a youngster. 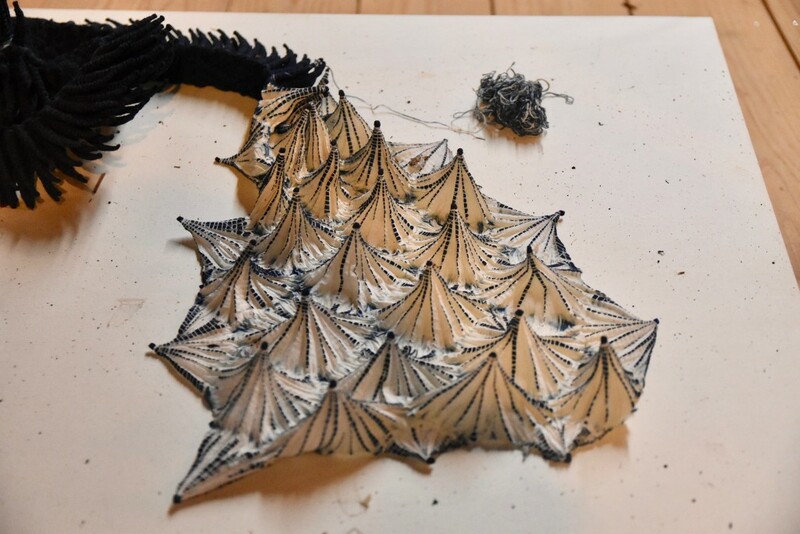 He explained that there are hundreds of shibori techniques, and it took him a long time to compile and create this reference box. I have never seen anything like this before and I was quite blown away by what I saw. Later, when I told him that I would be visiting Arimatsu the next day (a village famous for shibori in Nagoya), he quickly told me where to visit and even drew a map for me. Before I departed, I bought a DVD on the history of indigo, as well as some coasters and a scarf made by Mr Shindo and his wife. I was in shock when I got to the minshuku and the owner said that there was a 'mistake' and his place was 'full'! He couldn't speak much English, so he suggested that we return to Mr Shindo's and ask him to translate. It turned out that he had overbooked and despite the fact that i had booked months in advance, all the rooms were occupied that night. I couldn't believe my luck, and I was feeling anxious as I was told that there is no other accommodation in the village. Finally, a phone call later, he said that he could drive me to a bigger guesthouse nearby as they have a room available. He was very apologetic and said he would cover the extra cost of the room as it was his fault. I didn't care where I would spend the night as long as it was safe, clean and warm, so it was a relief to know that there would be a shelter for me that night. 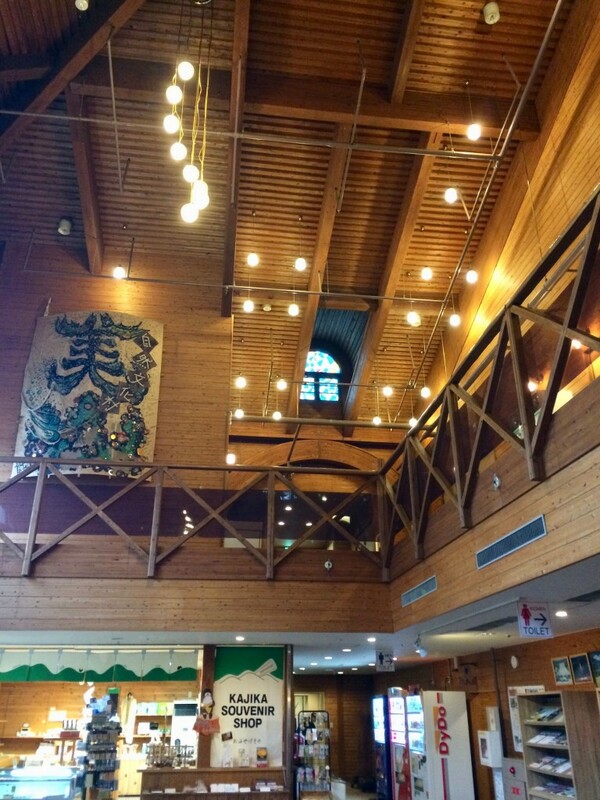 After a short drive from the village, we arrived at Miyama Nature and Culture Village Kajikaso. 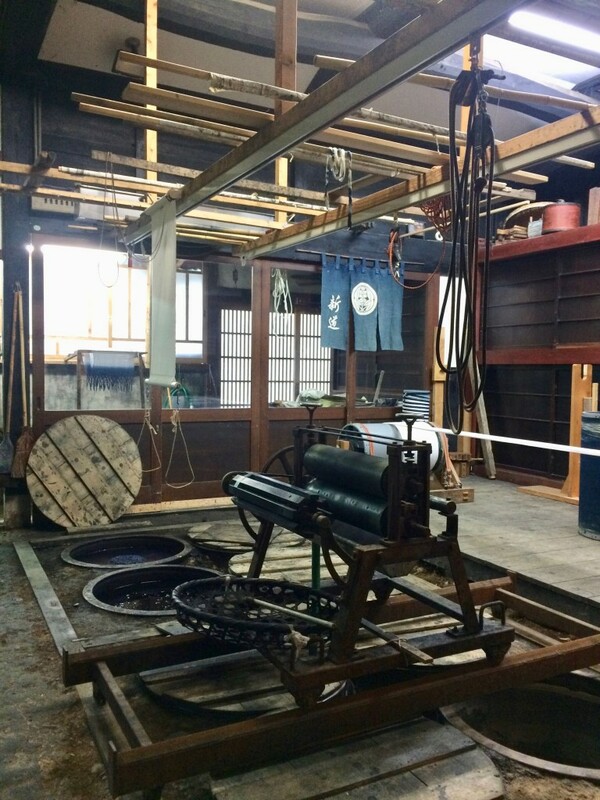 Before I left the museum, Mr Shindo assured me that the guesthouse is decent and has a nice onsen, and he was right. 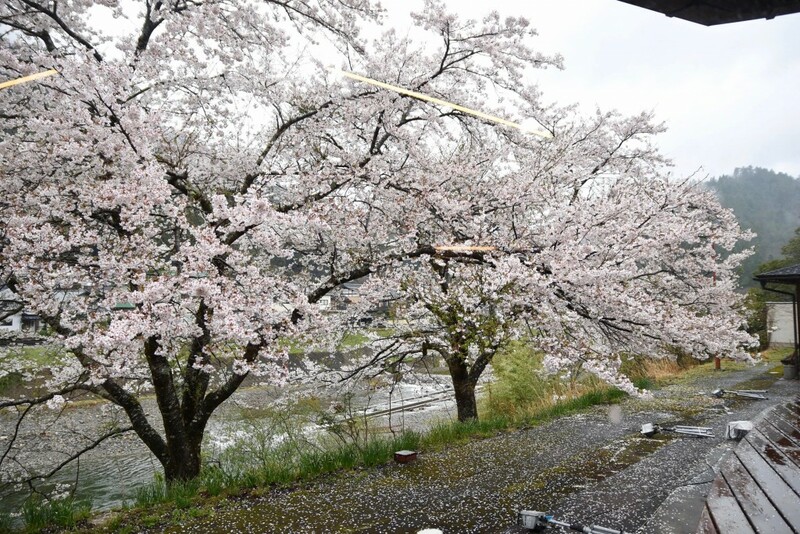 After a stressful day when almost everything went wrong, I couldn't have been happier to be bathing alone outdoor in bath covered with pink cherry blossom petals while the rain fell onto my head and skin. After bathing outdoor by the river at Kawayu Onsen and inside a cave facing the sea in Kii Katsuura, this was my third onsen experience on this trip, and it was as blissful as the previous two. 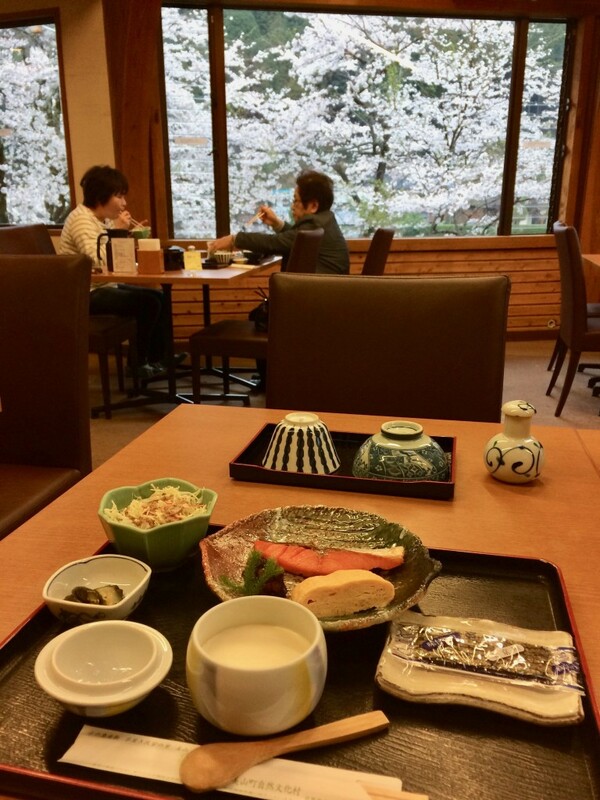 Yet the most unexpected surprise came in the morning when i walked into the dining room for breakfast – all i could see was pink cherry blossom outside of the window, which was utterly stunning. Around 7 am I received a call from the reception informing me that Mr Shindo was in the lobby to see me. I quickly got dressed and went downstairs to meet him. 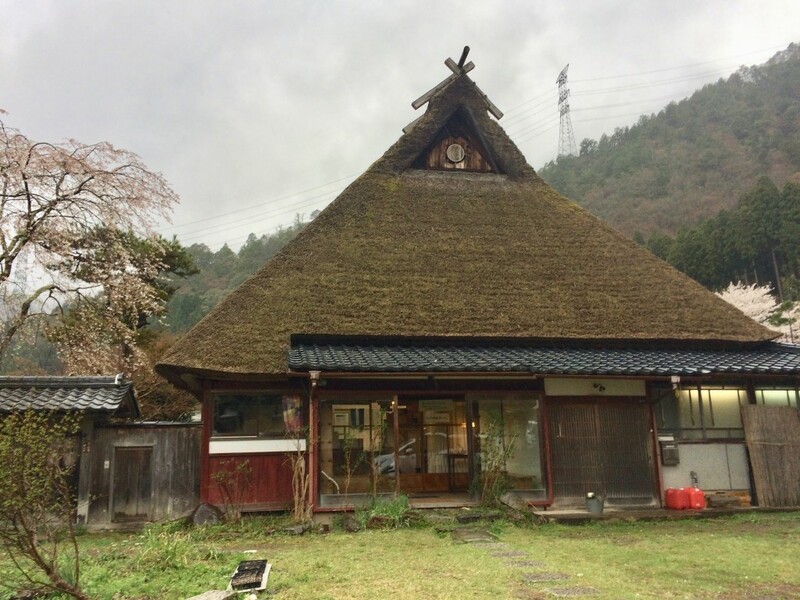 Mr Shindo said he felt bad that I never got to see the village yesterday because of all the misfortunes I experienced yesterday, and he offered to show me around before I headed back to kyoto. He said he would come and pick me up after breakfast and would also drop me off at the bus stop afterwards. Words could not describe how grateful and touched by his offer, and it completely took me by surprise. 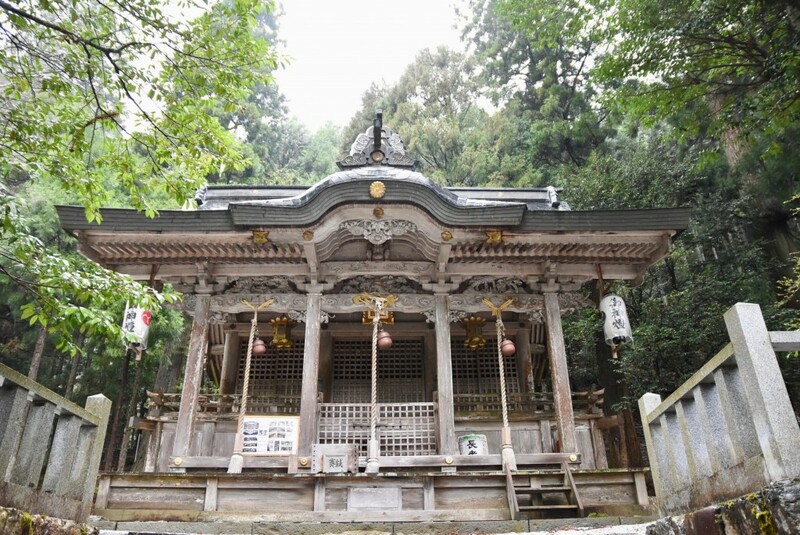 With only about an hour to spare, he drove me to the Chii Hachiman Shrine, a historic local shrine that has been designated as the Kyoto Prefectural Cultural Property. 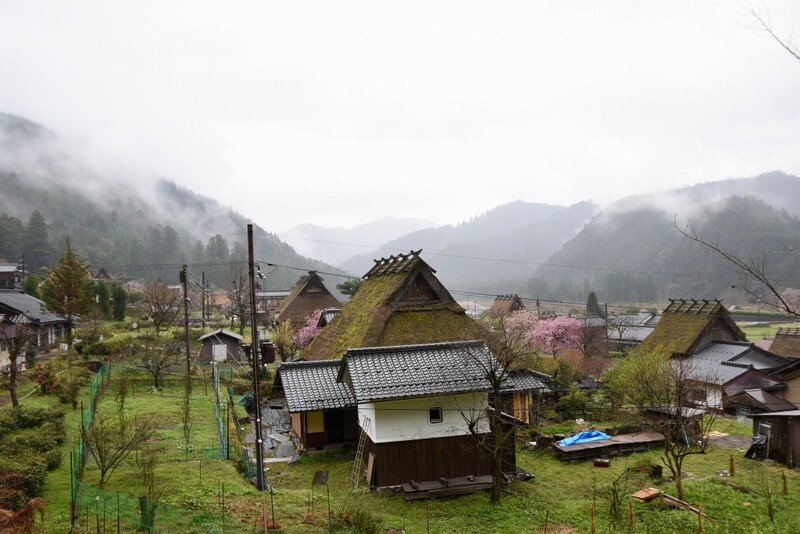 Although the rain hadn't stopped, the mesmerising view of the village, thatched-roofed farm houses and misty mountains looked almost magical and fairy-tale-like to me. 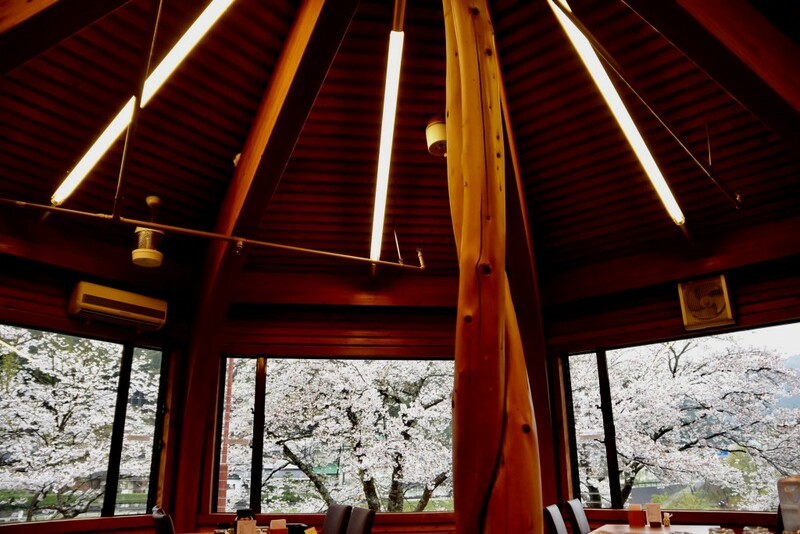 After saying goodbye to Mr Shindo, I left Miyama full of gratitude and joy. My disastrous day turned out to be one of the most memorable day of my trip, and I felt blessed that I was helped by all the strangers I encountered on the day. 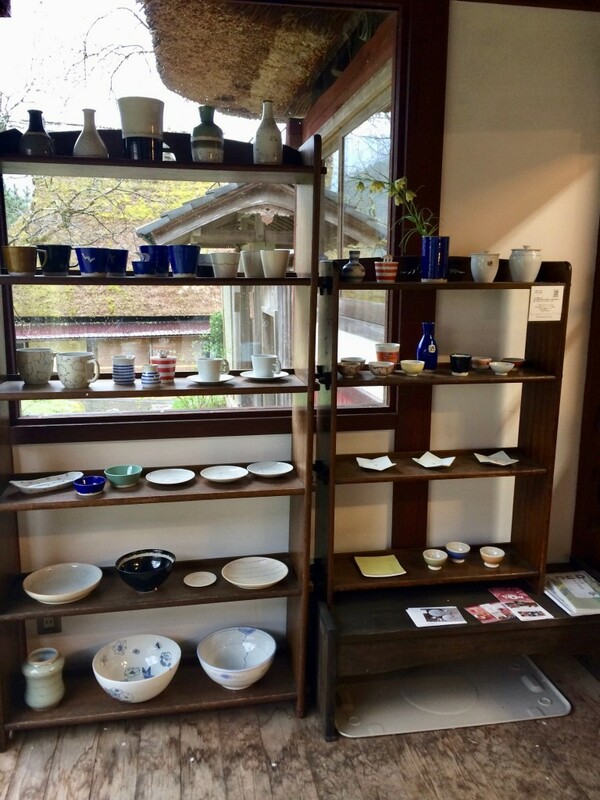 And most of all, I would not forget the generosity and kindness of Mr Shindo, who is not only a master of his craft, but also an incredible person. 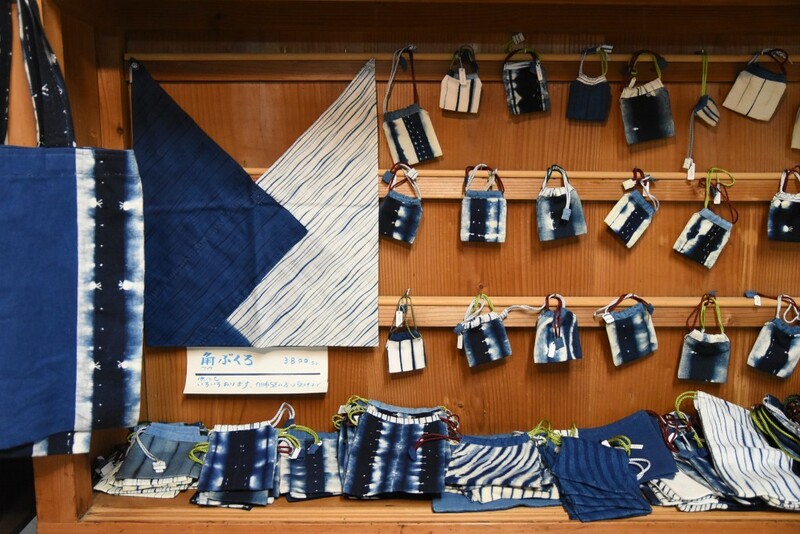 If you love indigo textiles, then a trip to Miyama's Little indigo museum is a must on your itinerary even if it is not the easiest place to get to. I guarantee you that it is worth the effort and time.